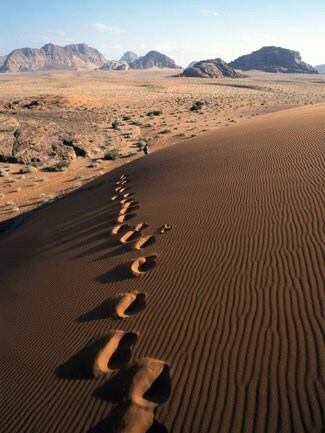 Home > Blog > Prayerful Path > Lent > Are you ready to walk into the desert? Ash Wednesday is just around the corner. Yes, you heard me. Ash Wednesday is next week, Feb 14th to be exact. Valentines Day is Ash Wednesday. I can’t believe its already here. ​Are you ready? What will you do for Lent? So, here we are again. 40 days to prepare. We are called to deepen our spiritual lives. We have been given the tools, fasting, prayer and almsgiving. So what are you going to do? Lets join this gym for our spiritual life and get to work. Participating in these practices improves our spiritual well being. Lets strip away all that is unnecessary. Lets focus on God. Lets open our eyes and our hearts and become more mindful of how God is working in our lives. The desert is a dry, dusty, desolate place. Our winter landscape covered with snow in some ways resembles a desert of sorts. The monastic tradition of desert connotes caves, silence, solitude and a withdrawal from people. The desert offers a place for inner reflection and contemplation to encounter our relationship with God and self. 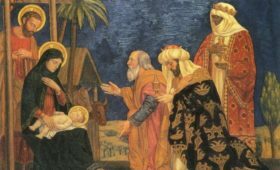 When Jesus was praying at the time of his baptism, the Holy Spirit came upon him…he was led by the Spirit into the desert….There he remained forty days. (NAB Matthew 4:1:11)When the devil left Jesus alone, Angels came and ministered to him. The desert of temptation became the mountain of paradise.(A.G. p. 37) The desert experience is our spiritual purification for a new life of freedom and love in the land that God will show us. Like the Prophet Hosea(NAB Hosea 2:16) the Lord God promised Israel that they will be led into the wilderness, where God will speak to her heart. (A.G. p .37) Some modes of desert experience are daily routine, loneliness, and meaninglessness. (C.C. p.23) We seek to discover new spiritual energy from the depths of our own hearts, which are like a hidden oasis planted there by God. Meaning makes life worth living. To accept the desert experience, one must let go of over-control and let things unfold with inner truth revealing new meanings and the deepening of the mystery of life. (C.C.p.61) Lent offers us an opportunity to identify with the desert experience of Jesus. How can I move from resistance to acceptance? Do I grumble and murmur like the Israelites searching for the Promised Land? Do I look with compassionate rather than critical eyes on any desert experience? Does my trust in God outweigh the fear of emptiness? Desert of affluence and greed. Desert of challenge and fear. Desert of exile and war. Desert of poverty and pain. Desert of hunger and homelessness, possessions, and selfishness. Desert of health issues, bodily weakness and infirmity. May the desert experience of this Lent transform us, help us to identify with Jesus, and bring our hearts to full bloom by Easter time. The joy of life is living it and doing things of worth, In making bright and fruitful the entire desert spots of earth. In facing odds and mastering them and rising from defeat, And making true what once was false, and what was bitter, make sweet. For only you know perfect joy whose little bit of soil Is richer ground than what it was when you began to toil. 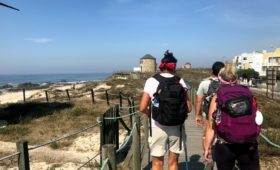 Next PostPrayerful Path offers a different kind of Holy Land Pilgrimage!